The McLennan SBDC is partially funded through a cooperative agreement with the U.S. Small Business Administration, McLennan Community College and the North Texas SBDC. It is part of the North Texas network and an accredited affiliate of the Association of Small Business Development Centers. U.S. Small Business Administration helps Americans start, build and grow businesses. It is an independent agency of the federal government designed to aid, counsel, assist and protect the interests of small business concerns, preserve free competitive enterprise and maintain and strengthen the overall economy of our nation. 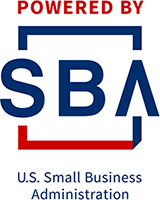 The SBA may be best known for its numerous loan programs to assist small businesses. The McLennan SBDC is partially funded by the U.S. Small Business Administration and its national network of Small Business Development Centers. McLennan Community College (MCC) is a two-year community college in Waco, Texas. MCC is located on a scenic 215-acre campus adjacent to Cameron Park and the Bosque River. In addition to its core transfer curriculum, McLennan Community College provides workforce, continuing education and online learning valued by local businesses. MCC has been a long time partner and host institution to the McLennan SBDC.